Uzbekistan’s repeated attempts to block Kyrgyzstan and Tajikistan from building hydropower plants are futile. Karimov conveniently forgets his administration bills Kyrgyzstan and Tajikistan for natural gas exports. Moreover, said gas is frequently shut off as a means of coercing the two countries, which are planning to build power-generating facilities on Central Asia’s two largest rivers. For instance, Kyrgyzstan has been struggling with not just a shortage but an absence of Uzbek gas, for most of 2014. Because mountainous Kyrgyzstan and Tajikistan sit high above sea level, harsh winters create shortages of already scarce electricity, and any insufficiency of Uzbek gas only makes the two countries more anxious to secure energy independence. Despite Tashkent’s tactics, Kyrgyzstan and Tajikistan, which together own nearly 70 percent of the waters that flow into the dwindling Aral Sea, remain deaf to Uzbekistan’s demands and warnings of “water wars.” This is thanks in part to Russia. The Kremlin has not only been voicing its support for plans to revive the Soviet-era projects, it has actually invested millions of dollars in the idea. Russian President Vladimir Putin personally travelled to Bishkek and Dushanbe, the two regional hosts of Russian military bases, to sign bilateral agreements to that effect. On top of Russia’s support, Tajikistan secured the World Bank’s “green light” for what is expected to be the tallest dam in the world: Rogun at 335 meters. Meanwhile, Kyrgyzstan was actually able to launch parts of a cascade of Russia-funded hydropower stations. If giving money and throwing political support behind Kyrgyz and Tajik energy initiatives is the Kremlin’s carrot, the stick it may wish to use can hit both sides of the conflict. Toughening conditions for millions of Kyrgyz, Tajik and Uzbek migrant laborers in Russia, thereby indirectly forcing them to return to their homelands, is a tool Moscow has used frequently in the past. And this time around these migrants could thwart Uzbekistan’s attempts to prevent Kyrgyzstan and Tajikistan from building dams. The sanctions the West slapped on Russia for Crimea and Ukraine have obvious implications for millions of Central Asians seeking work in Russia. On top of this, a report the International Monetary Fund (IMF) released in November suggests that falling prices of oil coupled with sanctions will negatively impact the Russian economy next year, sending shockwaves across Central Asia. These factors could lead some migrants to return from Russia, permanently. The return of even a portion of the migrants to join the growing local populations would put Kyrgyzstan and Tajikistan under pressure. Ironically, therefore, both sides of the water conflict equally need it: Uzbekistan needs water to keep tens of thousands of returnees busy on agriculture fields, lest they voice discontent with the government’s inability to employ them, while Tajikistan and Kyrgyzstan need water to generate electricity to keep their own returning migrants from taking to the streets in protest. No sane Tajik or Kyrgyz politician would back down in the face of such challenges. All these factors notwithstanding, Uzbekistan seems relentless in its determination to halt regional hydropower ambitions. Tashkent has gone as far as to voice support for a law the United States adopted earlier this year, which provides for a stricter oversight of the hydropower-related activities of the World Bank (among other financial institutions that receive U.S. money). 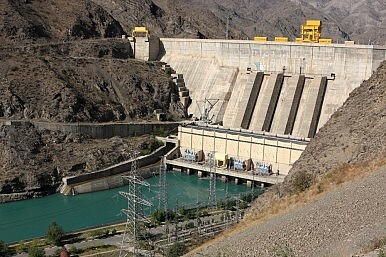 Uzbek-U.S. ties soured significantly after the 2005 Andijan massacre in eastern Uzbekistan, so Tashkent’s support for Washington’s hydropower-related initiative shows just how desperate it is becoming in the face of continued failures to curb its neighbors’ hydropower plans. While Uzbekistan’s attempts to stop neighbors from limiting water discharge make perfect sense from domestic economic, social and agriculture perspectives, they seem certain to fail nonetheless. In the realm of the Central Asian realpolitik, in which Karimov is a seasoned player, weaker actors can be empowered if they enjoy the backing of political heavyweights. Elmurad Kasym is an independent analyst and commentator on political, social and religious affairs in Central Asia. The foreign minister was clear that Uzbekistan’s ongoing reforms are irreversible.